Many nonprofit organizations are dedicated to training and supporting low-income communities and young leaders. Every day new partners come forward to offer important expertise and resources. Below you can see our national partners and their primary contributions. There are many local partnerships that the Community Action Teams have developed that are not listed here. 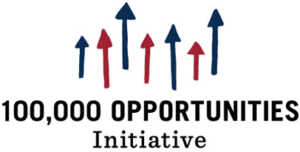 The 100,000 Opportunities Initiative aims to bridge the opportunity divide for the 4.6 million Americans, aged 16 – 24, who are out of school and not working. It forges connections between employers and the employees they need. It is made up of over 50 corporations. OYU has provided facilitation and youth voice at most of the 100K Job Fairs across the country since it launched in Chicago in 2015, organizing CEO Roundtables and Opportunity Youth Panels to build a deeper consciousness among CEO’s of the talent pool that exists among opportunity youth. It has provided pro bono training to the National Council of Young Leaders and on-going advice. CIRCLE is partnering with OYU on four fronts: researching the attitudes of low-income youth on voting; researching the difference election administrators can make on youth voter turnout; developing a civic certification curriculum that would benefit young people in showing their qualifications for employment; and providing data for voter turnout efforts. CIRCLE has also raised funds on behalf of OYU. Citizen University promotes and teaches the art of powerful and joyful citizenship. Citizen University hosted the launch of Opportunity Youth United at its summit in 2015 and continues to support OYU in various ways, including welcoming us in the Civic Collaboratory. Civic Enterprises works with corporations, nonprofits, foundations, universities and governments to develop innovative initiatives and public policies in the fields of education, national service, civic engagement, conservation, public health and more. Civic Enterprises prepared the Bridge to Reconnection in 2012 and again in 2016 to make the case for expanding investment in proven federal programs for Opportunity Youth to engage one million young people each year. We have used this study widely. CLASP invites OYU Young Leaders to represent at national and regional gatherings to make sure the input of young people is included in the policy deliberations. Everday Democracy’s mission is to help create communities that work for everyone by talking and working together. They work directly with local communities, providing advice and training and flexible how-to resources. Everyday Democracy has provided trainings to our local CATs on Community Organizing, Racial Equity, Facilitation, Action Planning, and More. The Forum for Youth Investment helps leaders get young people ready for life. In its role as a sponsor of the Opportunity Youth Network (OYN) and SparkAction it has supported OYU decisively. They have also trained our local CATS on how to map state and local public funding processes that benefit youth. Measure of America’s mission is to provide easy-to-use yet methodologically sound tools for understanding well-being and opportunity in America and to stimulate fact-based dialogue about the issues we all care about. OYU partners with Measure of America by using their Opportunity Index to find county, state, and national data related to opportunity youth and several other community indicators like : violent crime rates, high school completion rates, and more. The National Youth Alliance on Boys and Men of Color is a strategic collaboration of 5 youth organizing networks across the country committed to advancing the leadership of young men of color in organizing for change in their communities. Nonprofit VOTE partners with America’s nonprofits to help the people they serve participate and vote. They are the largest source of nonpartisan resources to help nonprofits integrate voter engagement into their ongoing activities and services. They also spearhead National Voter Registration Day. 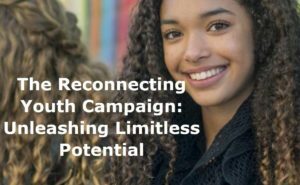 The Opportunity Youth Network (OYN) brings together national non-profits, businesses, philanthropy, and government to align efforts to achieve the collective goal of re-engaging one million opportunity youth. Opportunity Youth Network has consistently invited OYU members to join in planning and to provide the needed youth perspective in all its gatherings since 2012. 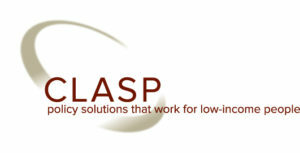 Forum for Youth Investment, CLASP, and YouthBuild USA are staffing a national campaign to obtain federal funding for one million opportunities each year for opportunity Youth to reconnect to employment, education, service and leadership opportunities. Young leaders from OYU have participated from the beginning in planning and publicly representing this Campaign. Its goals are aligned with OYU’s goals. Rock the Vote is the largest nonprofit and nonpartisan organization in the United States driving the youth vote to the polls. For more than 25 years, Rock the Vote has revolutionized the way we use pop culture, music, art and technology to inspire political activity. Rock the Vote has partnered with OYU by providing our local CATs with many free tool and resources to educate and register voters. Examples include: candidate guides and portals, online voter registration, social media tools, voting rights information, and more. SparkAction is a collaborative journalism and advocacy network to mobilize action by and for young people. They gather, synthesize and promote the best information on a range of child and youth issues from organizations and leaders across the country. SparkAction has provided staff support to OYU from the beginning in website creation, social media, and messaging. TurboVote is an online voter registration tool where individuals can sign up to receive election reminders, get registered to vote, & apply for their absentee ballot. TurboVote has partnered with OYU to design our own OYUnited voter registration tool. Campus Election Engagement Project is a national nonpartisan project that gets colleges and universities to use their resources to help students register to vote, navigate voting laws, educate themselves on issues and candidates, and turn out at the polls. They have partnered with OYUnited to provide nonpartisan candidate guides and supporting selected Opportunity Youth at our participating schools as student Election Engagement Fellows.